K-pop (an abbreviation of Korean pop or Korean popular music) is a musical genre consisting of pop, dance, electropop, hip hop, rock, R&B and electronic music originating in South Korea. In addition to music, K-pop has grown into a popular subculture among teenagers and young adults around the world, resulting in widespread interest in the fashion and style of Korean idol groups and singers. Through the presence of Facebook fan pages, availability on iTunes, Twitter profiles, and music videos on YouTube, the ability of K-pop to reach a previously inaccessible audience via the Internet is driving a paradigm shift in the exposure and popularity of the genre South Korean popular culture is today serving as a major driver of youth culture all across the Pacific Rim, with special reference to China, Hong Kong, Japan, Taiwan, Thailand, Philippines, Indonesia, Malaysia, and Vietnam. The genre is currently moving towards a position in the region, similar to that of American music in Europe during the 1980s and 1990s. In the mid-1920s, Masao Gouga, a Korean-Japanese composer, mixed traditional Korean music with Gospel music that American Evangelists brought with and have taught since the 1870s. This type of music became known as Enka in Japan, and later in Korea as Trot. In 1932, a controversial plagarism was caught and condemned by an article in the Japanese magazine “New Young Adult”, Gouga’s “Sakewa Namitaka Tameikika” was blamed for copying off the work of Korean composer Su-Lin Jeon, which his version was named “The Calm Jang-Ahn”. This event triggered a wave of Korean musicians to flourish with talented composers such as Nan-Pa Hong, Gyo-Sung Kim, Yong-Hwan Kim, Joon-Young Kim, Ho-Wol Moon, Mok-In Son, Shi-Choon Park , and Jae Ho Lee becoming the very foundation of Trot music in its early stage. Trot has been transformed over the years using a variety of instruments and mixing different styles of music to become the dominant genre in the Korean music scene until the late 80’s. To this day, Trot music still remains as a popular genre for many; mostly with its very sad melody and heart-touching lyrics. As Korea was liberated from Japanese annexation in 1945, Western culture was introduced to a small crowd with the few Western style bars and clubs playing Western Music. After the Korean War, which started on June 25, 1950 and lasted for 3 years, the country was separated into two nations; North Korea and South Korea. U.S. troops remained in South Korea for protection. With the staying of U.S. troops, American culture and the cultures of the world began to flush in. During this time, Western music became more accepted to a wider crowd of young adults. The debut of Seo Tai-ji & Boys in 1992 was a turning point for popular music in South Korea, incorporating elements of rap rock and techno. Hip hop duos such as Deux were also popular in the early 1990s. 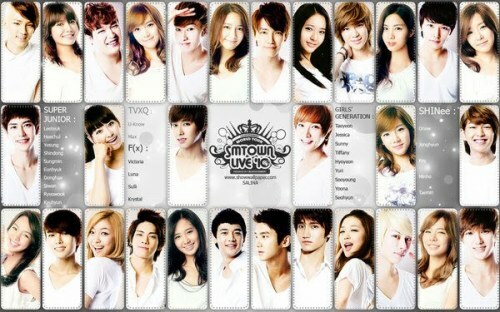 The founding of South Korea’s largest talent agency, S.M. Entertainment, in 1995, by Korean entrepreneur Lee Soo Man led to the first K-pop girl groups and boy bands. By the late 1990s, YG Entertainment, DSP Entertainment, and JYP Entertainment had burst onto the scene and were producing talent as quickly as the public could consume it. Groups such as, S.E.S, Fin.K.L, H.O.T, Sechs Kies, G.o.d, Fly to the Sky and Shinhwa had huge success in the 1990s, not only in South Korea, but also outside of the country as well. Especially, artists such as H.O.T, Kim Wan-Sun, Clon, Baby V.O.X, NRG saw a huge success in China and Taiwan in the mid-90s. Also during this period was the emergence of hip hop and R&B music in Korea, leading to the success of artists including Drunken Tiger. By 2011, K-Pop has become the mainstream genre in most East and South East Asia, including Japan, Malaysia, Mongolia, the Philippines, Indonesia, Thailand, Taiwan, Singapore, China, Vietnam. Through the internet, recently, K-pop started to expand to the rest of the world as well, but it yet has not become well known enough to be mainstream in those countries. Many of K-pop’s biggest idol groups and solo acts, including TVXQ, JYJ, BoA, Rain, Super Junior, SS01, BIGBANG, Girls’s Generation, KARA, 2PM, SHINee, BEAST, After School, Brown Eyed Girls, Se7en, U-KISS, T-ara, 4minute, Secret, MBLAQ and 2NE1 began targeting the Japanese market. The group members conduct interviews and sing in Japanese. K-pop is steadily gaining influence in foreign markets outside of Asia, however, most notably in the United States, Canada, and Australia. In 2001, Bumsoo Kim became the first Korean singer to place on the U.S. chart with his single, “Hello Goodbye Hello”. In 2009, Wonder Girls, one of Asia’s most successful music artists who sold millions of singles including the international #1 songs “Tell Me”, “So Hot” and “Noboby”, debuted on the Billboard Hot 100 singles chart. In a push to further globalize the genre, K-pop artists are increasingly working with talent outside of Korea. In the United States, Korean artists are touring with groups such as the Jonas Brothers and collaborating with well-known producers including Kanye West, Teddy Riley, Diplo, Rodney Jerkins, Ludacris, and will I am. 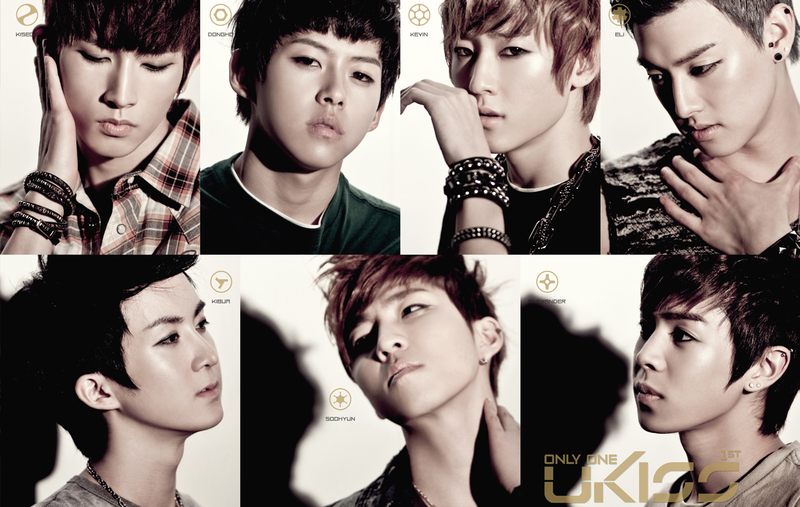 In 2011, Billboard implemented the K-Pop Hot 100 Chart. Today, apprenticeship is the universal strategy for nurturing girl groups, boy bands, and solo artists in the K-pop industry. To guarantee the high probability of success of new talent, talent agencies fully subsidize and oversee the professional lives and careers of trainees, often spending in excess of $400,000 to train and launch a new artist. Through this practice of apprenticeship, which often lasts two years or more, trainees hone their voices, learn professional choreography, sculpt and shape their bodies through exercise, and study multiple languages all the while attending school. The first point of time when we can confirm theexistence of Pansori through literatures is the reign of King Youngjo in Joseon Dynasty. In the collection of works of Hwa-Jae Mahn and Jin-Han Yoo who lived during the reign of King Youngjo, there are 200 phrases of Choonhyangga (which is called ‘Manhwabon Choonhyangga’), which is the oldest records regarding Pansori. The contents of Manhwabon Choonhyangga are almost same as the present Choonhyangga. A long story was translated into a short poem so the details are unknown, but there is no difference between the past and the present in terms of the outline of the story, ‘forming a relationship ? love ? separation ? difficulties ? reunion’, and the characters. This tells that people started to sing Pansori before the middle part of the 18th century, that is, around the end of the 17th century. It is thought that the early Pansori was based on the populace. It was sung and listened by the people. However, with the 18th century coming in, Pansori got penetrated into the noble and intelligent, and met recorders. In this process, it went through several changes. [Manhwabon Choonhyangga] is a product of such process. In the Chinese poetry consisting of total 50 phrases, namely, Gwan-woo-hee written by Man-Jae Song around 1810, 12 Batangs of Pansori and the names of singers like Choon-Dae Woo, Sam-Deuk Gwon, Heung-Gab Moh, etc. appear. The noteworthy thing in relation to the existence format of Pansori in this period is the reason why Man-Jae Song wrote Gwanwoohee. He said, “My country has customs that once a son passes the state examination, his family invites clowns to let them sing and perform skills. Last spring, my son passed it, but I am too poor to hold a banquet so I am composing this poem.” It tells that Pansori in the early days existed in the form of being invited for a successful event like passing the state examination. In other words, Pansori existed, together with a feast, to commemorate an important chance in life. However, it is thought that Pansori in this period was much simpler and poorer than the present in terms of music or story. Park Dongjin, master of Pansori as Human Cultural Asset No. 5, who likes to say that we should take ours precious, put his heart and soul into art, overcoming indescribable hardships. Now passing his age of 80, he built Pansori Instruction Hall at his hometown Mureung-dong, opening the opportunities of education for him to teach Pansori, Danga or Bukjangdan, how to drum, etc. to younger generation so he could foster his juniors and transmit Pansori to them. 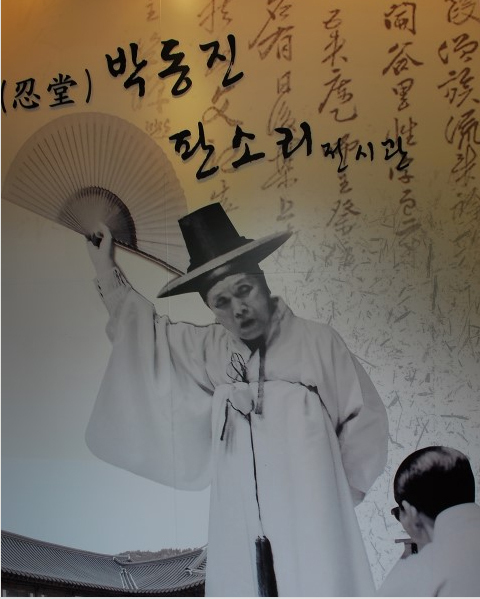 Visitors may listen to and see his Pansori personally on the scence. 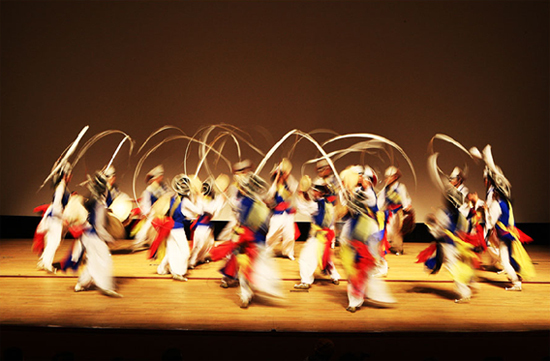 Masterpieces of the Oral and Intangible Heritage of Humanity: “The Pansori Epic Chant”. 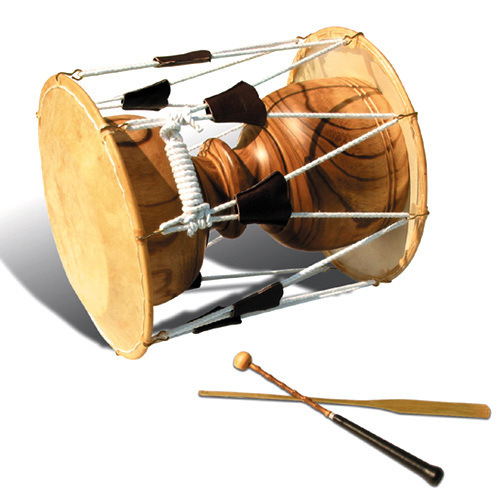 The Pansori Epic Chant is a form of singing-like narration by a Sorikkun (a singer) accompanied by drumbeat. It comprises songs full of expression, talking style with fixed form, various repertoire, and imitative gestures. It is a traditional performing art in Korea that eliminates boundaries separating the Yangban (the upper class) from the commoners. The World Intangible Cultural Heritage Programme emerged from the realization of the importance of not only tangible but also intangible aspects of heritage, overcoming the value-orientation which favors tangible cultural assets such as monuments, treasures, and natural sites. The Programme recognizes communities, groups, and individuals as important parts of cultural heritage and defines the intangible cultural heritage to include practices, representations, knowledge, skills, and materials including related instruments, objects, artifacts, and cultural spaces. 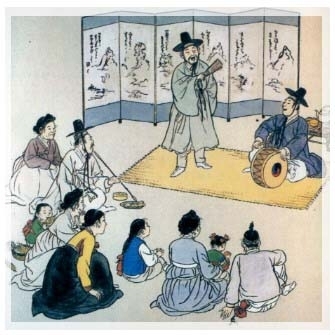 Pansori is a national folk performing art which has constantly evolved and developed, uniquely embodying the creativity, emotions, and desires of Korean people amid the germination and development of modernistic consciousness in the late Joseon age (18th century). 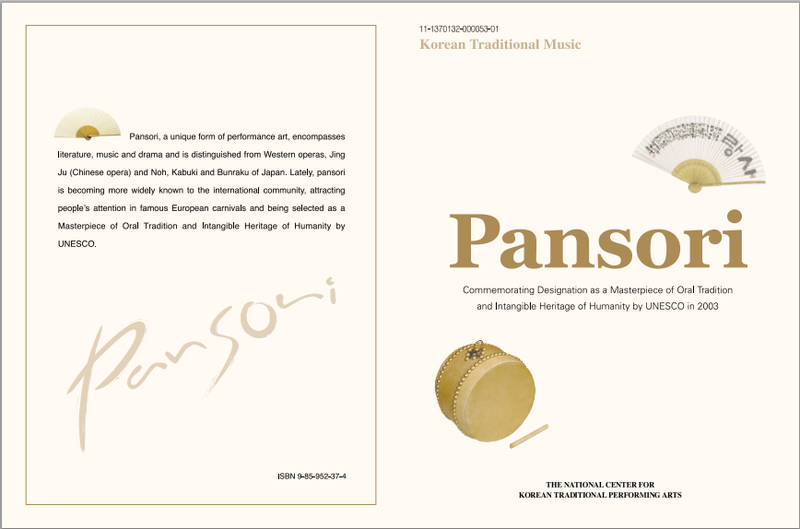 Pansori fuses various genres of cultural art such as folktales, Muga, Gwangdaenoreum, Pannoreum, Sinawi, folksongs, and Jeongak, and is a conglomerate of intangible pieces of Korean traditional cultural heritage that has unified the genres in pursuit of vocal music. Pansori is a traditional cultural art, which serves as strong evidence for national identity by combining the cultures of all socioeconomic classes, synthesizing the linguistic culture of all people in Korea and uniting excellent artistic inspiration and popularity in terms of history, art, nation, sociology, anthropology, linguistics, and literature. Pansori showcases the creative talents and technical application of Korean people. 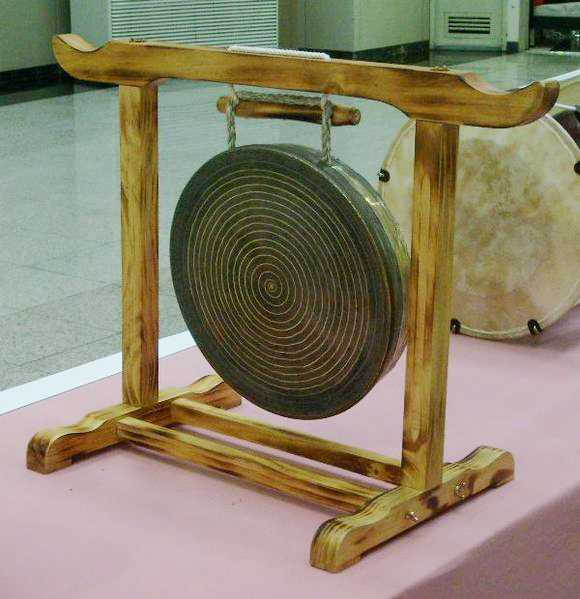 It functions as an integral part of Korea’s rich culture to this day. Samulnori is a group of four dynamic musicians dedicated to performing and preserving traditional Korean music and dance. The Korean words sa and mul mean four objects and nori means to play. 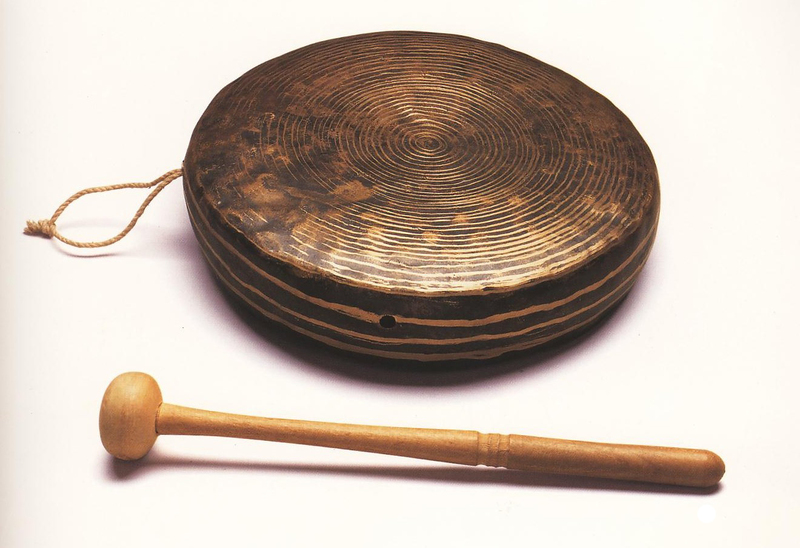 In the case of Samulnori, it refers to the four musicians playing and dancing with their four percussion instruments (Kkwaenggwari is a small gong, Jing is a larger gong, Janggu is an hourglass-shaped drum and Buk is a barrel drum similar to the bass drum)). Founded in 1978, SamulNori (the group) sparked a renaissance in Korea’s music scene and has garnered worldwide acclaim. 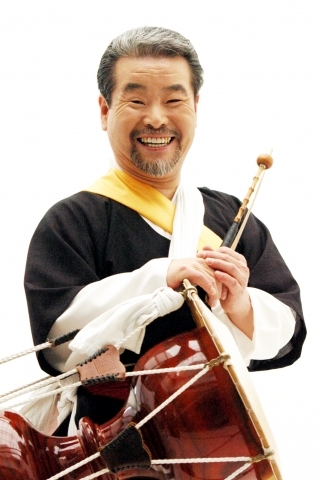 SamulNori, founded by Kim Duk Soo, the group’s leader and master of the janggu (hour glass drum), has become the leading institution of traditional Korean performance that maintains up to thirty students selected and trained by Mr. Kim. 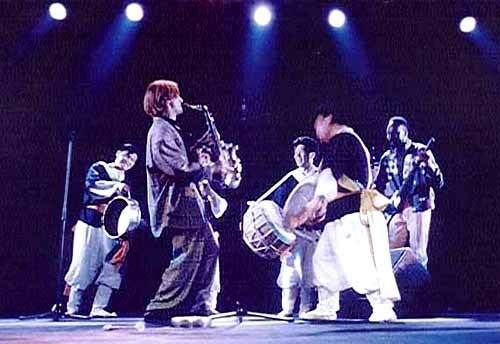 The group performs in many configurations but usually tours as a quartet with Mr. Kim at the helm.The original performers of SamulNori were Kim Young Bae (deceased in 1985) who played kwaengari, Choi Tae Hyun on jing, Kim Duck-soo on janggu, and Lee Jong Dae (now teaching at a university) on the buk. But soon after, Choi Jong Sil took over on kwaengari, and Lee Kwang Soo onbuk. In 1993, SamulNori became SamulNori Hanullim, Inc. (Hanullim means big bang). This growth from a four-man performance ensemble into a company of thirty artists and students meant that SamulNori’s dedication to traditional Korean arts, music, and dance over the last two decades has now become a viable educational and research enterprise. Over the years, SamulNori’s U.S. tours have brought them to New York City, Los Angeles, Boston, Chicago, and Hawaii. In 1985 the Asia Society was awarded an Obie for Outstanding Achievement in the Off-Broadway Theater for introducing SamulNori to New Yorks stages. SamulNori has performed at the Kennedy Center in Washington, D.C., and at the Smithonian Institution as part of an effort to establish scholarly exchanges between the Smithonian and Korea. 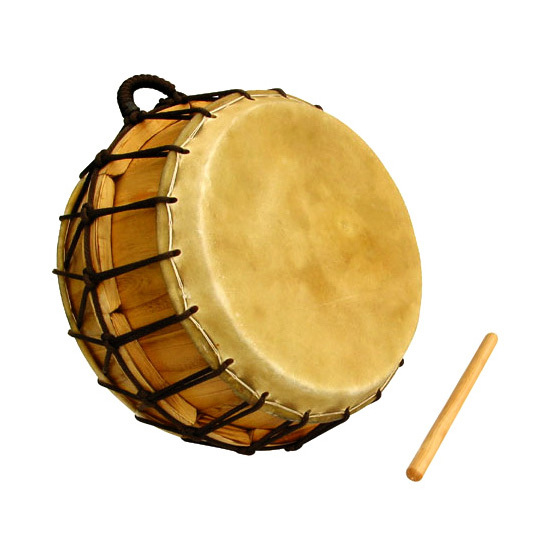 They also appeared at the Percussive Arts Society Convention in Dallas and served a residency for the Ethnomusicology Department at the University of California at Berkeley. Internationally, SamulNori has toured Germany, Austria, Great Britain, Sweden, Switzerland, Japan, China, Australia, and Greece where they accompanied the Korean Olympic representatives for the lighting of the Olympic torch in 1988. They also visited Italy where they were filmed for a Puma sneaker commercial. Samulnori has collaborated with many highly acclaimed musicians from around the world in a variety of styles of music ranging from jazz to pop. They have also performed concerts with orchestras playing music written expressly for them. They have taken part in many festivals including ‘Live Under the Sky’ in Japan and Hong Kong, the Kool Jazz Festival, Peter Gabriel’s WOMAD Festival, and the Han River (Korea) International Jazz Festival.